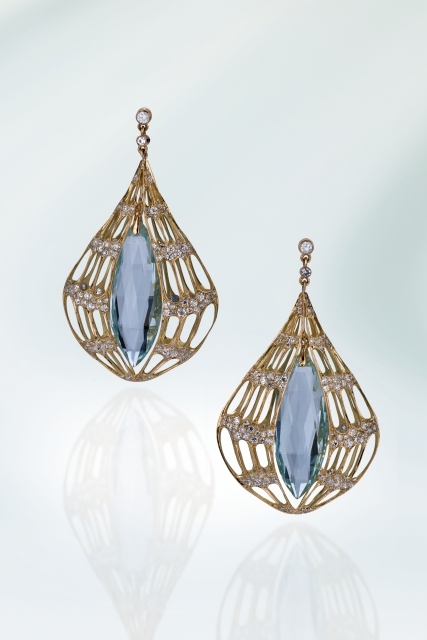 18K yellow gold earrings featuring Aquamarine briolettes (50.95 ctw.) accented with Diamonds (9.29 ctw.). Contact Evelyn for orders and pricing.